Welcome to Cleaners Muswell Hill! We provide professional cleaning services in Muswell Hill, N10, London. See our special offers and affordable prices below. Call us now! If you are searching for efficient, hardworking and dependable cleaners in Muswell Hill, please choose the services of our cleaning company. Since many years now, we have been devoted to the ideal aim of cleanliness and succeeded in providing our customers with unique care of their homes and offices. 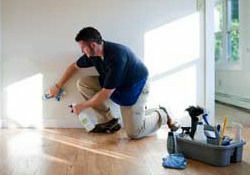 Our operatives are thoroughly trained and experienced and equipped to handle any dirty situation and turn any place into a flawlessly clean, healthy and tidy one. The special professional approach of our team is to work individually for every client, use strong and friendly detergents and please anyone. We can provide you domestic cleaning for very reasonable prices, as we can assure you that our staff is trained, trustworthy and you can be sure that your home is at safe hands. We also know that each client has its own needs and we are ready to satisfy all of them. Are you too busy to give your house in Muswell Hill a deep cleaning? We will clean the house for you! Our skilled and dedicated workforce uses the best technology available to clean even the toughest corners as thoroughly and efficiently as possible. 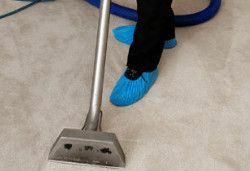 Our company is one of the leading providers of carpet cleaning services in Muswell Hill. 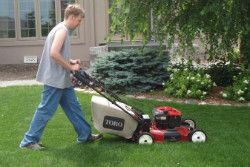 We have been operating for many years, satisfying all of our customers’ needs. We use only the best eco-friendly detergents. 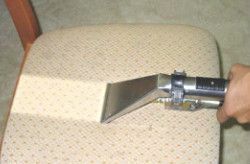 It is recommended to get your upholsteries cleaned at least twice a year. Our use of eco-friendly detergents ensure that the color and luster of you furniture is retained. We end our process by pumping up all the water with at high pressure, leaving drier furniture in the end. Your landlord has asked you to provide end of tenancy cleaning of the entire property as you are leaving it? We are the right team for you because we have all the needed experience and qualifications in order to give you incredible results and comfort. We are very respected and prominent company that offers a great diversity of services performed in an immaculate way. If you have an urgent need to refresh the appearance of your lovely garden we are the perfect option for you. 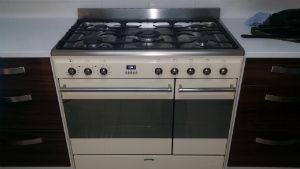 Our company specialises in oven cleaning. We have been in business for a long time and you can be sure the experience we have obtained during the years is very extensive. 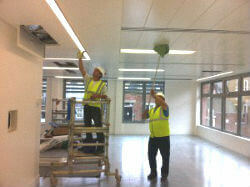 Our company provides second to none after builders cleaning that is done by experienced and trained cleaners. We have specialized in the cleaning business for several years. 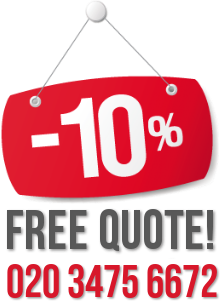 Book our after builders cleaning in Muswell Hill and we promise to offer you flexibility in terms of working schedules. Need your office cleaned regularly? 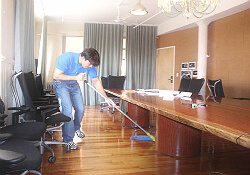 We offer quality office cleaning at reasonable prices, providing all the cleaning equipment needed. Our cleaners are available seven days a week. If you are looking for a place that is at the same time far and near enough to London, then Muswell Hill N10 is one of your alternatives. The suburb is located roughly 9km away from the big city – it is part of the London Borough of Haringey. The place is really great because the atmosphere is calm and the people are friendly. There are lots of places you can visit such as the Odeon Cinema which is a grade II listed building, the Alexandra Palace, Alexandra Park or the Guy Chester Center. In terms of transportation Muswell Hill N10 is also great – there are a couple of railway stations nearby that you can use. Such stations are the Alexandra Palace railway station or the Hornsey railway station. Some of the near places are Crouch End, Wood Green, Upper Holloway, Colney Hatch.